Ahh good old tales. The tales series are one of namco's best selling game franchises, some of them so good that they even made it into the anime industry. 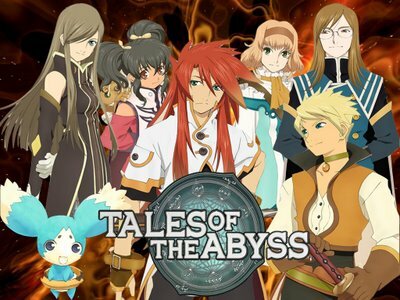 And thus heres one of them, tales of the abyss. 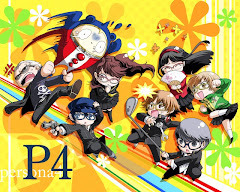 Its a good show, though to get the full experience its more advisable that one plays the game. Still, good show. Karma is a great song, bump of chicken is awesome. The opening is sweet, it lasts longer than normal, which I suppose is okay, but I found it abit long during my 1st few hears. Grew used to it and enjoyed it alot after like episode 10 or so. Being an adventure show, its quite easy to predict this show's plot after watching tears to tiara not too long ago, still it pleased me pretty well, with all the drama going on. Tales of the abyss is a game adaptation, so players of the game would know the story, if you want to watch this its better if you havent played the game. The show gets boring at 1st but gets interesting after episode 7 or so, then gets boring after abit, then gets interesting again at episode 18 all the way to the end. 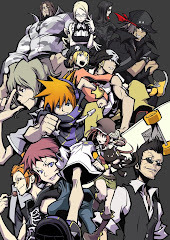 The show focuses on the main character luke, who is the son of an important council member of his town. He is a spoilt brat who never gets to leave the house, and always sneaks out here and then to admire the wildnerness and escape boredom. But he hasnt seen the outside world, when tear, an oracle preistess named tear atttacks luke's mansion while he is training with his teacher van, he is transported to the wilderness, where he leanrs of a tragic fate that is about to befall the world. Show is good, a good balance on almost everything. 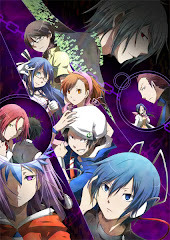 I could have gave it an 8.0, but the action isnt tense enough, all fights dont last more than 1 episode :x/ Still, if you havent play the original tales of the abyss game, this is considered to be quite a good find.